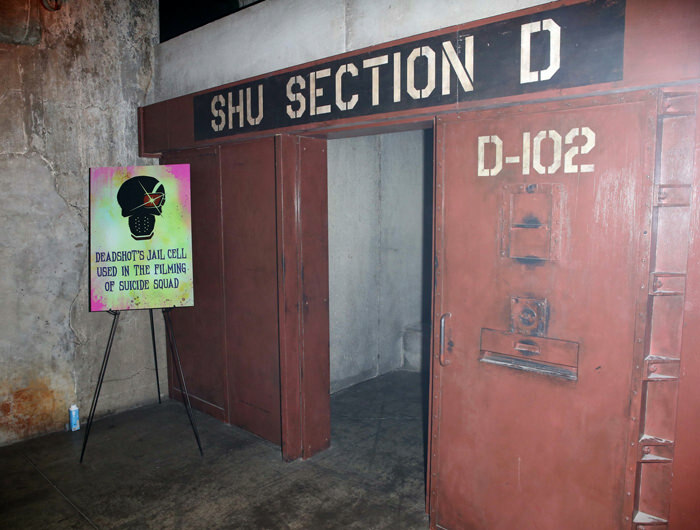 Will Smith and Margot Robbie attend The Suicide Squad’s Belle Reve Penitentiary opening event in Toronto, Canada which features official sets and props from the film and allows fans to participate in Harley Quinn’s Smash Room. Suicide Squad was shot in Toronto and the cast and crew wanted to give something back to the Toronto fans. As we noted yesterday, this cast is poledancing on a level that surprises even jaded old us. And bless the PR folks for finding yet another reason to parade cast members in front of cameras. “Come look at our props” doesn’t exactly call for high fashion, though. And that’s fine, because these two actually pull off casual very well. They look fine. Her top is cute and his shirt is filled out nicely. What else is there to say, really? Except for maybe we’re not sure if that’s the best shoe for her to have picked. We’d have thought a wedge would be more appropriate for pairing with such a hippy-dippy top. And his jeans are too big but we’ll cop to the fact that we sound hopelessly white when we say that. But she looks cute and his dad style is still firing on all cylinders, so we’re inclined to be forgiving. At least they didn’t overdress. Because the setting clearly didn’t call for it.